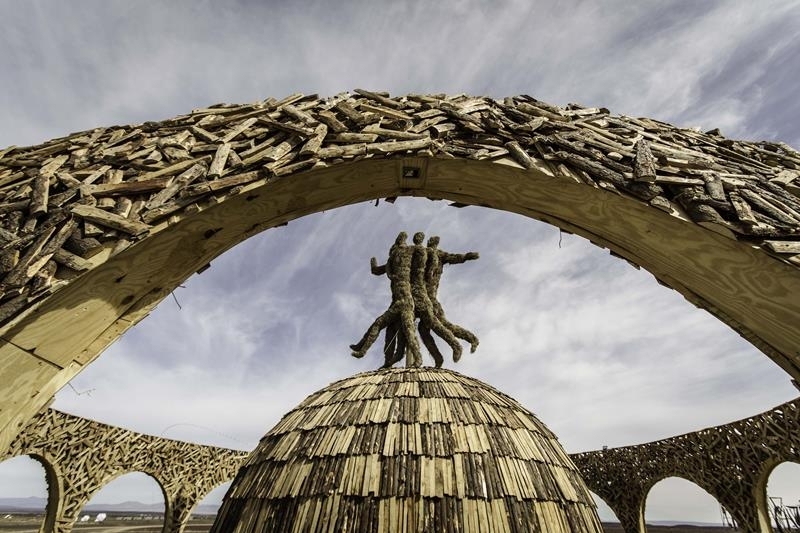 The Sutherland Kuns Opvoedings Projek is an AfrikaBurn-funded arts development programme which kicked off in 2014. 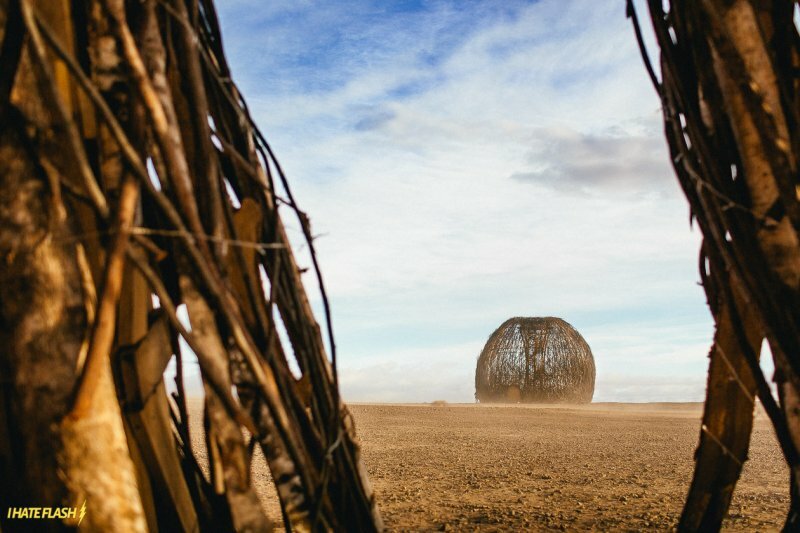 This latest round will see a large-scale artwork built collaboratively between residents of the Karoo town and the AfrikaBurn community, led by artist Nathan Victor Honey. Over the years this project crew have created the San Clan (2015), and Project O (2016). arrived yesterday from Cape Town, flying in from the UK to project-manage the build with Nathan and SKOP IV – and what an exciting build this promises to be. This project isn’t just about the artwork or the artist. Although Nathan is of course pivotal to the success of this build, SKOP IV is about so much more: it’s about the local community here in Sutherland and Nathan’s vision to create a working platform to teach and share skills to help the unemployed in this small town, where times are hard and unemployment is high. wooden ball sat in the middle of the desert. Werner, Fabian, Jerome, and Ratowin, all of whom I will tell you more about in the weeks to come. We are also looking for two local young women to join the team, as it’s really important to Nathan and for the project that we give everyone a fair chance to get involved, empowering both men and women and giving them the opportunity to learn new skills that can be transferred into their everyday lives and hopefully help to secure future employment. previously worked with Nathan on the 2015 San Clan. He arrived last week from Canada and is Nathan’s right hand man when it comes to the build. Our first load of materials arrived on Sunday. We’re using recycled pallets and timber. The pallets are being de-nailed and disassembled as I type and the first segments that will create the structure have been cut. The scaffolding is up and we have started to lay out the initial design and you can already get a feel of how the centre ball is going to look. growth of the people that are involved in this great project. 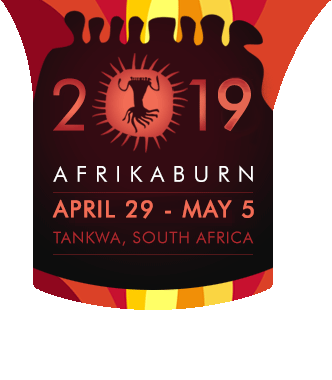 I hope you follow SKOP IV’s journey to AfrikaBurn and I’m looking forward to updating you again soon! Follow the progress of this project in the 2nd update here.